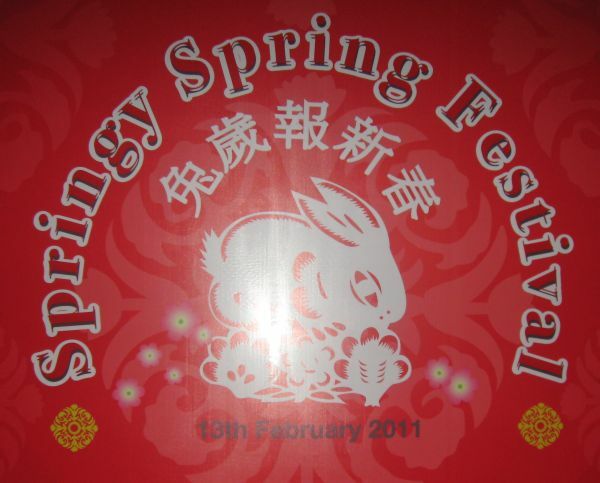 Update: Event starting 12.00pm today 13 Feb 2011. I saw a lorry carrying lion dance equipment so guessing they are going to bless the event. There are tables covered with red tablecloths and food trays with warmers. However, I was told those are for invited guests of Vita Lifesciences Sdn Bhd, for those who join as members or something. Wonder what is in store for non-invitees? Update: More details at Special Events & Offers: Springy Spring Festival.